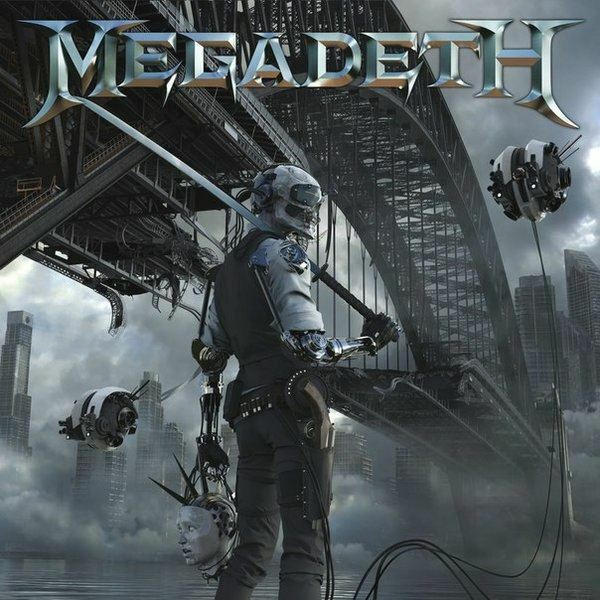 Home›Reviews›Megadeth - Dystopia Marks the 15th Studio Album from Dave Mustaine and Company! This is the fifteenth studio album from Megadeth, who has been rocking audiences around the globe for over three decades. There have been countless lineup changes over the years, but the one constant has always been their fearless frontman, vocalist/guitarist Dave Mustaine. 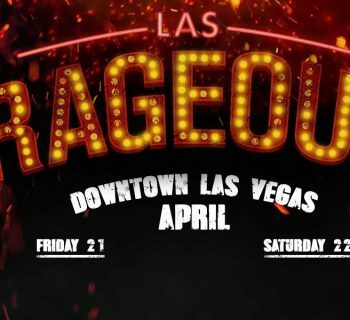 This release marks the arrival of two newbies to the Megadeth camp, Lamb of God’s Chris Adler on drums, and Angra’s Kiko Loureiro on lead guitar. Megadeth’s sound has transformed radically over the years. 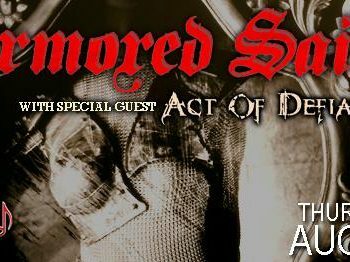 While they started out as a straight-up raw thrash band (due in no small part to Mustaine having been a founding member of Metallica), they quickly became something of their own, with their career crossing multiple sounds and phases; they have truly transcended the “thrash” label so many have stuck them with over time. I love Megadeth, and even have a soft spot for some of the stuff that has not been the best received over the years; hell, there are cuts that I enjoy from the oft-maligned Risk record from 1999. But I cannot help but feel the band’s post-reunion albums, starting with 2004’s The System Has Failed, have been a bit lacking. That is not to say that the newer releases from the band have not been good and solid, but none of them have quite hit the spot the way that the band’s old school releases did. Their most recent album prior to this, Super Collider, saw its share of mixed reviews as well, in that much of it, namely the title cut, veered sharply away from the heavier sounds the band was known for. Dystopia is the 15th studio record from Megadeth, and their first to feature a new band lineup. 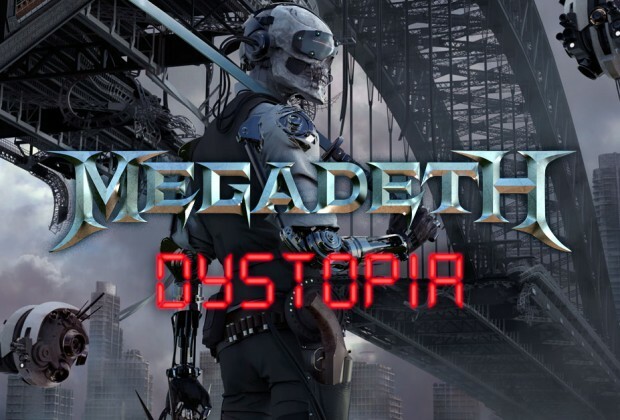 This Megadeth fan has eagerly awaited the arrival of Dystopia, though at the same time has not been aware of what to expect outside of the two tracks that were released online in advance, and have been circulating on the Internet for some time now. And honestly, those were two of the heaviest (and best!) Megadeth songs that I had heard in years. Does the rest of this record live up to the reputation set by those two initially released tracks? If you like your Megadeth as hard, heavy, aggressive, and loud as humanly possible, then let me say this in the simplest terms possible – Dystopia does not disappoint. This may very well be Megadeth’s hardest and heaviest record to date, and easily trumps the last few “post-reunion” records. Sometimes lineup changes and losses of members can detail a band, but the addition of Adler and Louriero to the group proves to be one of the greatest strengths on the record; I have not heard Megadeth sound this hard and heavy in years. The fresh blood serves the group well, and this fan is hoping this lineup will be together for several years to come, as it is easily the best and most consistent sounding the group has had since their classic 1990-1997 one. This is balls-to-the-wall heavy metal, and those fans who want to hear the band rocking out relentlessly will find that Dystopia is just what they have been waiting for. There are the occasional moments of melodic, acoustic stuff, but these do not last long and are quickly vanquished by the quartet’s most aggressive, loudest playing. If there is one minor complaint, it is that the album is almost TOO aggressive and relentless, and it does lack diversity as a result of this. Even the older records managed to find ways to slow things down a little without wussing out or going overly commercial (“In My Darkest Hour” from the band’s 80s heyday being a prime example). I’m not saying the group has to wimp out or go soft, but perhaps the second album from this lineup of the band will be a bit more ambitious. This is hardly a weakness though; fans who like the hard and heavy stuff will eat it right up. Dystopia proves that Megadeth is back up to their old tricks, and this fan could not be happier. Get ready to bang your head; this powerful new incarnation of Megadeth has created the band’s best album in years. 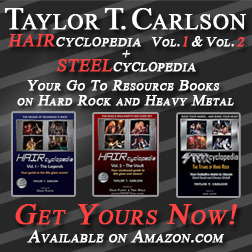 Very highly recommended to all hard rock and heavy metal fans. I agree. This is the best album Megadeth has done in years. I don’t think they should slow it down any. There’s an instrumental for that.